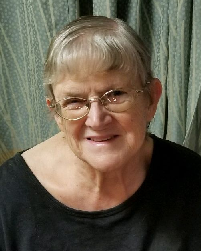 Barbara Jean White, 67, of Dempseytown, passed away peacefully at home on Thursday, March 28, 2019. She was born August 26, 1951 in Oil City to the late William and Eleanor Gibson Corbin. Barbara was married February 12, 1972, to Theodore White, who survives. She was employed by UCIP for many years before she became disabled in 2004. Barbara enjoyed time with her family, daily soap operas, and puzzles. She is survived by her husband, her sons; Benjamin White and wife Peggy of Grove City, Christopher White and his wife Candice of Butler, and two granddaughters Morgan and Cameron White. Also surviving are 5 siblings; Patricia Hartle of Etowah, N.C., William Corbin of Oil City, Karen Culp and husband Gary of Oil City, James Corbin and wife Lorraine of Titusville, Susan Flockerzi and husband Bruce of Oil City, a sister in-law Carolyn Corbin of Reno, and many nieces and nephews and her dog Oreo. She was preceded in death by her parents, brother Robert Corbin, Charles Corbin, and brother in-law John Hartle. Donations in Barbara’s name can be made out to the Humane Society.